Notwithstanding comments made during a community meeting on a proposed $750 million hospital in the city's Stonelake neighborhood, former Elk Grove Mayor Gary Davis' association with the project proponents appears to be longer than the public was led to believe. 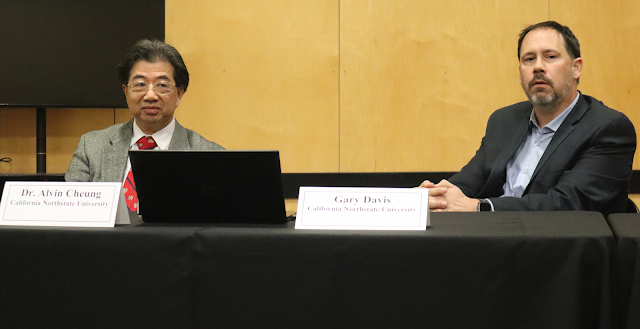 Davis, the self-titled mayor emeritus of Elk Grove, suggested during a community meeting on the controversial project proposed by California Northstate University held on February 22, that his involvement with the hospital came after the December 19, 2018 announcement of the school's plan to demolish a shopping center to make way for the facility. Documents reviewed from a public document request show Davis had a relationship with the school since at least mid-2018. In correspondence from his civicinovations.com email address, Davis emailed Elk Grove economic director Darrell Doan and his assistant Rachel Brown on June 27, 2018 seeking assistance for California Northstate University. Davis sought Doan's help on a sign the school wanted for the west side of their building facing Interstate 5. In his email, Davis, who served as Mayor and a city council member for 10 years, curiously asked Doan's how it should be handled in the city's bureaucracy. Doan responded that he would be happy to assist and would with the city's planning manager. Doan also asked Davis if he had any further information. Interestingly Davis, in what could be considered a condescending description of the administration of CNU, replied, "True to form they don't have a size request - just as big as they can get." Civic Innovations, which Davis formed in April 2013 (see story here) is formally named Civic Innovations Public Affairs and was initially involved in a venture with the city's then mobile app developer. The website civicinnovations.com currently appears to be parked with a hosting service. For those old enough to remember the administration of LBJ, the distortions of the situation in Vietnam created what at the time was called the credibility gap. Similarly, albeit on a much smaller scale, for Elk Grove residents who bother to care, this is yet another example of a gaping gap in the credibility of our elected officials and local institutions. The only hope of the residents of the Stonelake area of stopping this is the creeping lack of credibility of the proposed hospital executives and the local officials supporting the scheme. At some point, if they are wise, the entities who might finance this project will start to scrutinize the books and backers of CNU. Aside from the financiers backing out, you can guarantee the Mayor, city council, and other hangers-on will push this thing through as though their life depends on it. Influence peddling is the illegal practice of using one's influence in government or connections with persons in authority to obtain favors or preferential treatment for another, usually in return for payment. Also called traffic of influence or trading in influence. In fact, influence peddling is not necessarily illegal as the Organisation for Economic Co-operation and Development (OECD) has often used the term "undue influence peddling" to refer to illegal acts of lobbying. However, influence peddling bears the stench of corruption that may de-legitimise democratic politics with the general public. I really don't follow the hospital matter that much, but if Gary Davis is involved, you got to know it will not end well for Elk Grove. He seemed to be honest when he started out, but as time went along, he showed his true colors and they were not honorable or honest colors. Gary Davis' name tent says it all. So much for the residents of Elk Grove and Davis being a "Man of the People." In this reader's opinion, Davis is a caging, manipulative opportunist. I wouldn't be surprised if right now Davis is going through all of the current Elk Grove City Council's 460s looking for major contributors to hire for CNU, telling them they will get a piece of the CNU 750 million dollar pie, and in turn, have those same contributors apply pressure on the current council members. Let's hope there is one among them on the council who is intelligent enough to figure out Davis' game plan.